The origins of the Middle States Commission on Higher Education’s parent organization, the Middle States Association of Colleges and Schools (MSA), can be traced to a meeting of activist college and university presidents in February 1887. The Association created the Commission on Higher Education in 1919, known then and until December 1969, as the Commission on Institutions of Higher Education. The first 1887 meeting was held to explore “the feasibility of calling a meeting of college authorities, with the objects of establishing closer relationships with one another and of procuring certain legislation in favor of educational institutions tending to this result.” The presidents at this meeting chartered themselves as the College Association of Pennsylvania, but soon thereafter the organization was renamed the Association of the Colleges and Preparatory Schools of the Middle States and Maryland. Many of the educational luminaries of the day contributed to the formation of the Association, including the presidents of Swarthmore College, Columbia University, Cornell University, the University of Pennsylvania, and Princeton University, as well as the headmasters of The Friends School (Washington, D.C.) and The Lawrenceville School. The New England Association of Schools and Colleges was founded in 1885; the Higher Learning Commission (formerly the North Central Association of Schools and Colleges) and the Southern Association of Colleges and Schools Commission on Colleges were both founded in 1895; the Northwest Commission on Colleges and Universities (formerly the Northwest Association of Schools and Colleges Commission on Colleges and Universities) was established in 1917, and the Western College Association was created in 1924 before becoming WASC Senior College and University Commission and WASC Accrediting Commission for Community and Junior Colleges in 1962. The initial objectives of the Middle States Association were to standardize the qualifications required for admission to college; to determine the desired characteristics for college preparatory schools; to recommend courses of study for both colleges and schools; to foster relationships among schools, colleges, and the government; and to study and recommend best practices of organization and governance. During these early years, the Association’s discussions on the standardization of academic credentials led to the creation of The College Board and The Carnegie Unit as ways to assure quality of academic offerings and the trustworthiness of the participating institutions. The Association’s discussions on the standardization of academic credentials led to the creation of The College Board and The Carnegie Unit as ways to assure quality of academic offerings and the trustworthiness of the participating institutions. As previously noted, MSA formed the Commission on Institutions of Higher Education in 1919. Shortly thereafter, in 1921, it created the Commission on Secondary Schools. In 1978, MSA established a third accreditation unit, the Assembly of Elementary Schools, which 10 years later became the Commission on Elementary Schools. This newest commission, along with the Commission on Secondary Schools, formed a new Committee on Institution Wide Accreditation (CIWA) to recommend accreditation actions on schools that span the K-12 continuum. In 1992, the MSA trustees granted wide ranging autonomy to each of the three Commissions in the areas of finance, policy, and personnel. In 1994, the Association, which had originally been incorporated in the State of New York, was re-incorporated in the State of Delaware. A decade later, in 2002, the Middle States Association was re-incorporated again, this time in the Commonwealth of Pennsylvania. During the formative years, the Commission on Institutions of Higher Education was based at Columbia University in New York City, and later in Newark, N.J. The Commission on Secondary Schools was located at the University of Pennsylvania in Philadelphia. In 1976, the two Commissions relocated together to the University City Science Center in Philadelphia, where they are still based today. Accreditation, the ultimate and current mission of the Middle States Association, was introduced with the formation of the Commission on Institutions of Higher Education in 1919. According to Karl Miller’s 73-year Review of the Association (1961), the Commission on Institutions of Higher Education was the result of meetings between the late Edward H. Magill, the then-president of Swarthmore College, and other higher education leaders, who wanted to work together on issues of common concern and to influence legislation that would favor educational institutions. A later report noted that the Commission on Institutions of Higher Education “adopted a definition and standards for the colleges of liberal arts and sciences… The definition and standards adopted are similar in character to those adopted by other regional associations and other bodies interested in the same problems…” The Commission on Institutions of Higher Education and the Commission on Secondary Schools established the concept of peer evaluation in the region and contributed to the evolving collegiality between the two levels of education. After two years of work, the Commission met in Houston Hall at the University of Pennsylvania on Oct. 23, 1921, and approved a list of 58 institutions that were to be recognized as “approved” institutions for the 1921-22 academic year. The list was approved by the Association at its annual meeting in November 1921. Although statistics alone don’t tell the entire story of how the Commission on Higher Education has grown over the past several decades, it is helpful to compare numbers from 1962 with the present. In 1962, the Commission accredited a total of 295 institutions, conducting 35 evaluations and 47 follow-up activities. During that year a total of 306 individuals participated in these evaluations. In 2019, the Commission accredits more than 500 institutions, and conducts, on average, nearly 500 reviews per year involving close to 800 peer evaluators. In the early years, institutions “verified” their compliance with accreditation guidelines by completing “definitions and standards” questionnaires and application forms. First issued in 1920, these forms dealt with all facets of an institution and were prescriptive in nature. Equally prescriptive questionnaires were published in 1953 for institutions as a whole and for programs such as teacher education, engineering, library schools, and social work. Questionnaire guides for self-study preparation followed, requesting quantitative data such as the number of volumes, pamphlets, and public documents in a library. In 1978, the Handbook for Institutional Self- Study was first published. It was narrative in form and requested primarily qualitative data. The prescriptive questionnaires could easily have led, and to a degree did lead, to the homogenization of higher education institutions. During those early years, institutions were added to the approved list following “inspection” visits, usually by a single member of the Commission, who would prepare an “inspection visit” report. On the basis of these reports and discussions, institutions were added to the “approved” list. It was not until 1931 that institutions were referred to as “accredited.” Institutions were denied status for reasons such as unwise investment of funds, unsatisfactory student entrance records, insufficient training of faculty, lack of separation between secondary school and junior college faculties, and a “somewhat” unbalanced curriculum. For the first time in 1943, more than one “inspector” was used to visit institutions for accreditation purposes. In 1945, the Commission reviewed its own policies and practices. Significant proposals were made the following year, intended to shift the emphasis in accrediting procedures from the maintenance of minimal standards to the improvement of institutions of all types and on all levels. From 1921 until 1946, institutions remained on the accredited/approved list with little, if any, contact with the Commission. Some institutions were required to submit reports on specific issues, but revisits were not then part of the Commission’s standard operating procedures. In 1946, members of the Middle States Association voted to direct the CHE to send evaluation teams periodically to all member (accredited) institutions. The cycle of revisits began in 1957 and was found to be so stimulating that the Association agreed, without dissent, to have the practice continue on a regular basis at 10-year intervals. By July 1971, questionnaire forms for self-evaluation had been withdrawn from circulation and instead institutions were asked to submit a narrative document which is known today as a self-study. An institution was expected to be explicit about mission, goals, students, programs, objectives, faculty, teaching, instructional resources, equipment, organization, administration, and outcomes. Between 1973 and 2017, Commission review based on a Periodic Review Report (PRR) had been required from each accredited institution in the fifth year following reaffirmation of accreditation. Also, institutions may have been asked to report on specific issues at varying times in the 10-year cycle, including advance application for approval of substantive changes. Special visits may follow the self-study, PRR, or Progress Report. The cycle of revisits began in 1957 and was found to be so stimulating that the Association agreed, without dissent, to have the practice continue on a regular basis at 10-year intervals. 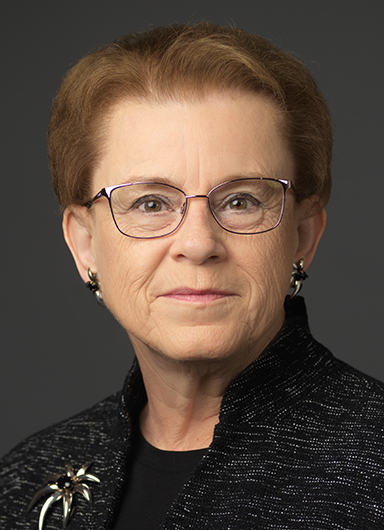 After Jean Morse became the new Executive Director in January 1996, a steering committee undertook the multi-year task of reviewing and revising the Commission’s accreditation standards. Following extensive feedback from member institutions and approval by the Commission, the new Characteristics of Excellence, including then-14 accreditation standards, became effective in 2002. Minor revisions to Characteristics occurred in 2006, 2008, and 2009. Characteristics revised the standards to meet changing higher education needs while preserving commitment to the fundamental values of the Commission. The standards emphasized the importance of institutional and student learning outcomes by creating a separate standard for student learning and adding new assessment provisions; recognized the importance of resources while modifying the prescriptive requirements for resources; expanded and modernized the scope of “general education;” introduced the concept of “information literacy;” and addressed distance learning and other types of non-traditional delivery of instruction. At the request of members, a clearer format was introduced and more guidance was provided about what type of evidence the Commission expects. The document presented specific elements that were usually satisfied when each standard was met, and it also provided suggestions for possible sources of evidence. In order to help institutions with the new emphasis on assessment of student learning, the Commission published two books in 2003. Student Learning Assessment: Options and Resources provided detailed guidance to institutions for selecting learning goals, assessing learning, and improving. It was supplemented in 2005 with Assessing Student Learning and Institutional Effectiveness, to help institutions understand MSCHE expectations. In 2003, the Commission also published Developing Research and Communication Skills, to provide guidelines for integrating information literacy into the curriculum. The Commission’s handbooks were rewritten to help members and evaluators use the standards and to introduce new practices. For example, in order to improve the consistency of actions across institutions, teams were required to differentiate among required, recommended, and optional team findings; the Commission was required to take specified types of actions for each type of finding; the format for self-studies and team reports was standardized; and policies were published offering standardized language for similar types of Commission actions. 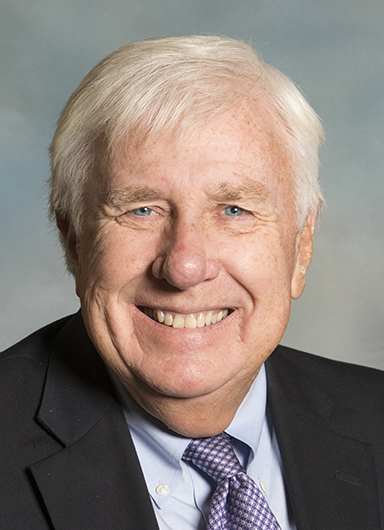 Before revising its accreditation standards, the Commission considered whether it would be useful to allow members to address improvement and compliance separately. Many members reported in questionnaires and meetings that compliance and improvement should continue to be considered together. In order to create an option for the few institutions that preferred separation, the Commission introduced the “selected topics” self-study. This approach allowed each institution to evidence its “compliance” by producing existing documents for separate review before or during the team visit. The self-study itself and the team visit addressed only the major standards selected by the institution, such as student learning, planning, and resources. What Types of Institutions May MSCHE Accredit? In the early days, junior colleges, technical schools, teacher education institutions, and community colleges were not considered institutions of higher education. It was not until 1937 that the Commission accredited its first teacher education institution, Montclair State Teachers College of New Jersey. The Commission found that this public teachers’ college was good enough to generate debate as to whether it should be identified on the accreditation list as a teachers college or as a liberal arts institution. Another highlight of 1937 was the adoption of revised principles and standards for the accreditation of higher education institutions. These new standards were a marked departure from those originally adopted and there were no substantive revisions for many years. The new standards were largely qualitative, and urged, but did not yet require, self-evaluation of an institution as a whole. In 1938, the Commission was first approached by institutions whose focus was on narrow, specialized fields of study. These institutions wanted to be included on the “accredited” list. However, their inclusion did not occur for another 16 years. A significant change in the operation of the Commission occurred in 1953 with the appointment of F. Taylor Jones as the Commission’s first Executive Secretary. He served in that capacity until 1970. Jones brought to the role tact and skill in handling difficult situations. Another noteworthy step taken by the Commission in the early 1950s was the redefinition of the criteria defining eligibility for accredited membership. All higher education institutions, including professional and highly specialized institutions, were now considered eligible for accreditation, effective Jan. 1, 1954. A major new development occurred in 1952, when the U.S. Department of Education started to make extensive use of lists from accrediting associations to determine “eligibility” for federal funds. In 1968, the U.S. Department of Education created the Division of Accreditation and Institutional Eligibility. By the early 1950s, community and junior colleges were considered viable and necessary, and a specific set of guidelines was established for them. These guidelines were removed from circulation in 1976, and in 1977, Characteristics of Excellence in Higher Education was first published. It applied to all institutions of higher education. Characteristics set forth the basic approach to the evaluation and accreditation process for all institutions: two-year, four-year, free-standing professional, and upper division. Status was and is sought according to the application of Commission standards in the context of institutional mission, with the requirement that the institution have the appropriate authority to award academic degrees—associate through the doctorate. Characteristics of Excellence in Higher Education set forth the basic approach to the evaluation and accreditation process for all institutions. Through the 1960s, the Commission was embroiled in a lawsuit with Marjorie Webster Junior College, a proprietary school. Marjorie Webster’s leaders sought to force the Commission to accept it as an applicant for evaluation and accreditation, notwithstanding the fact that it was a business corporation and operated for a profit. The Commission had based its vigorous defense on its longstanding principle that an institution run for profit could not fulfill its educational responsibilities. Although the Commission eventually won, the clear implication of the legal decision was that the freedom of a private organization such as the Commission on Higher Education to determine who was eligible for accreditation was coming to an end. In the 1970s, a group of private educational entrepreneurs challenged the Commission’s decision to compel a college to cancel its contractual off-campus program with them. The “pre-accreditation” status established in the early 1960s for institutions seeking initial accreditation was instrumental in drastically reducing the number of denials of accreditation and/or deferments. An institution progressed from applicant status to correspondent status, and then became a recognized candidate. The timeline depended on the institution’s degree of development and sophistication. This process was revised in 2009 to require that an applicant demonstrate compliance with the accreditation standards earlier in the process. Although accreditors are often asked how many institutions have had their accreditation revoked, the most important “sifting” stage is actually candidacy. Once an institution is accredited, it is hoped that accreditors will catch problems early and help institutions to fix them before they result in termination of accreditation. In the 1970s, the Commission began to accredit institutions abroad that were incorporated in the Middle States region. In 2002, the Commission instituted a pilot project to accredit institutions located abroad. Today, regional accreditators oversee the quality of research universities, community colleges, liberal arts colleges, state colleges and universities, religiously affiliated institutions, special-purpose institutions, military academies, historically Black colleges and universities, tribal colleges, and institutions located outside the United States. Accredited institutions are public and private, non-profit and for-profit, urban and rural, large and small, traditional and non-traditional. They offer degrees ranging from the associate to the doctorate. Accreditation is strengthened by its regional nature, as regional Commissions are close to the conditions, needs, and challenges of higher education in various parts of the U.S.
As early as 1959, the Commission executives from the six regions (Middle States, New England, North Central, Northwestern, Southern, and Western) met to discuss issues of common concern and to discuss when, where, and how they might agree on common standards, policies, or processes. The group was initially named the National Committee on Regional Accrediting Agencies (NCRAA). Its first item of business was an agreement to publish a list of accredited institutions of higher education in the United States. The second was to join with the American Council on Education (ACE) in the formulation of philosophy and principles of accreditation. Each regional association was asked to prepare a statement of its accrediting procedures, using the North Central Association’s manual as a guide, and indicating points of difference, omissions, and other variations from the NCA guide. From the roots of the NCRAA evolved the Federation of Regional Accrediting Commissions on Higher Education (FRACHE) in 1970, which included professional agencies as well as regional accreditors. Its successor, the Council on Post-secondary Accreditation (COPA), became a legal entity on Jan. 1, 1975, following the merger of FRACHE with the institutional presidents’ National Commission on Accrediting (NCA). COPA ceased operations on Dec. 31, 1993, contending the organization was no longer valid. A special committee, the Commission on Recognition of Postsecondary Education (CORPA), was formed to recommend a successor structure to continue COPA’s recognition function. The National Policy Board of Higher Education Institutional Accreditation (NPB) was created, comprised of the executive directors of the regional accrediting commissions and the chief executives of the Presidents Policy Assembly of Accreditation, previously part of COPA. In 1996, the Council for Higher Education Accreditation (CHEA) was established following extensive planning by NPB and the recommendations of its Presidents Work Group. CHEA assumed CORPA’s recognition function on Jan. 1, 1997. CHEA considers accreditation issues, but it does not accredit institutions or represent accreditors. Therefore, the regional accreditors created the Council of Regional Accrediting Commissions (C-RAC) in 1996 to exchange ideas and information, to create joint policies, and to work with Congress, higher education, other organizations, and the public. Specialized and professional accreditors created the Association of Specialized and Professional Accreditors (ASPA) for similar reasons. Several policies and guidelines have been created in cooperation with other regional accreditors through C-RAC. Distance Learning Programs (2002) offered interregional guidelines for electronically offered degree and certificate programs. Interregionally Operating Institutions (2004, revised 2007) and Separately Accreditable Institutions (2004) addressed the needs of institutions operating across regional borders. Related Institutions (2007) dealt with the new challenges being created by private and public institutions as authority devolves upon parent corporations and centralized offices. The regional accreditors created C-RAC in 1996 to exchange ideas and information, to create joint policies, and to work with Congress, higher education, other organizations, and the public. In 2003, C-RAC adopted its Principles for Good Practices: Regional Accrediting Commissions. Endorsed by the Middle States Commission on Higher Education and then posted on the Commission website, this document described what an accrediting commission should reasonably expect of itself and of member institutions, especially with respect to student learning, compilation of evidence, and stakeholder involvement. The C-RAC document also recommended that regional accreditors not only evaluate and affirm educational quality, but also help institutions build capacity for documenting and improving student learning. The Commission on Higher Education has taken steps over the years to assist institutions to improve by offering a series of workshops on student outcomes assessment, institutional effectiveness, and other accreditation issues. In 2002, the Commission addressed the need for regional and specialized accreditors to coordinate their accreditation reviews. The Handbook for Collaborative Reviews (which is no longer in use), published that year and endorsed by ASPA, offered institutions the option of inviting MSCHE and specialized accreditors selected by the institution to use a single self-study, a single visiting team, and a single team report in a tailored and more efficient process created collaboratively by the accreditors. This differed from a “joint” visit in which all requirements of all accreditors were simply performed together. The scope of MSCHE international activities has increased as our members have rapidly expanded the number of their locations abroad and their other interactions with institutions and students from other countries. As globalization advanced, MSCHE decided in 2002 to initiate a “pilot” project to determine whether the Commission’s standards could be applied to institutions abroad that are not chartered in the U.S., to measure the benefits and contributions of foreign members to MSCHE, and to test the financial viability of accrediting institutions abroad. The pilot project supplemented the international accreditation of “U.S.-style” institutions abroad that were incorporated in the Middle States region. The rapid growth of institutions of higher education and quality assurance agencies in many other countries and regions led MSCHE to participate in two major projects of the International Network of Quality Assurance Agencies in Higher Education (INQAAHE): drafting international good practices for quality assurance agencies and creating a new international program to give certificates and degrees to quality assurance professionals. 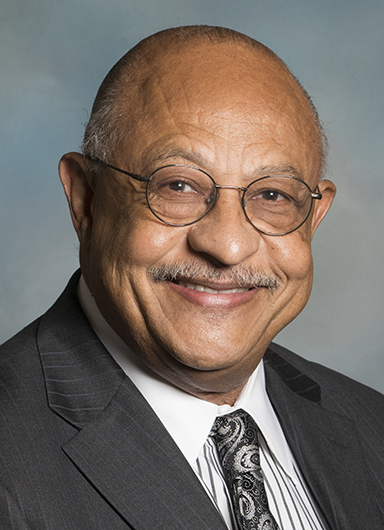 In 1988, Howard Simmons was appointed as MSCHE’s first African-American Executive Director. New activities focused on policy development, including more constituent involvement in policy review; greater assistance to member institutions in the form of workshops and conferences; and improvements in the accreditation protocol. The “Statement of Affiliation Status” (known now as the “Statement of Accreditation Status”), was created to provide a brief summary of each institution’s accreditation history and current status (Each institution’s SAS is available on the Commission website, www.msche.org). In 1995, the Commission on Higher Education held its first-ever annual conference. 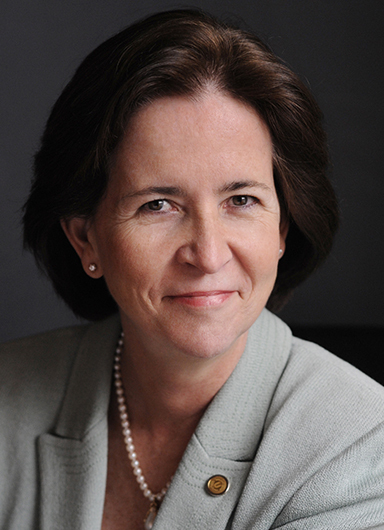 Following the appointment of Jean Avnet Morse as the new Executive Director/President in January 1996, Characteristics of Excellence was completely revised; a new self-study format was introduced to allow institutions to separate “compliance” from “improvement” in their self-study process; institutions were offered the option of a single self-study and team visit for specialized and regional accreditation reviews; new eligibility requirements were created for new applicant institutions; six new publications were created to help institutions with new standards and processes (especially in the areas of distance learning and information literacy); policies for accreditation of institutions abroad were revised and a pilot project was conducted for accreditation of non-U.S. institutions abroad; staff was expanded to provide more workshops and other support services for members; interregional and cooperative projects were initiated; the MSCHE website was revamped; new policies and processes were introduced to improve consistency in Commission decision-making; new monitoring processes were created; and internal operations were reorganized. In 2008, perhaps the biggest challenge to all U.S. regional accreditors occurred during the reauthorization process for the Higher Education Act. The Commission on the Future of Higher Education, appointed by then-Secretary of Education Margaret Spellings, generated considerable opposition from concerned citizens. It suggested more standardization and comparability of institutional and student performance. However, the United States Congress decided to maintain the current system. It approved the new Higher Education Opportunity Act in August 2008 and specifically restricted any further regulation of student achievement by the Secretary of Education. By preserving the right of individual institutions to define and assess student learning in the 2008 reauthorization, Congress had clearly defined the next challenge for MSCHE—to continue to help each of our members meet the appropriate student learning and other goals each sets for itself, consistent with its own mission. Fast forward 10 years to 2019, and the reauthorization of the Higher Education Act is six years passed when it was supposed to expire. The Act was extended to 2015, but as of the winter of 2019 remained caught in a divided Congress. Affordability and access, innovation, and deregulation have all been mentioned as a focus when Congress comes to agreement on the HEA’s reauthorization. As the MSCHE, entered the 10-year countdown to its 100th anniversary, internal transformation, and new standards and accreditation cycle would highlight the decade beginning 2010. On July 31, 2009, long-time Commission President Jean Avnet Morse departed for a new position with New York University. Upon her departure, Elizabeth Sibolski was named Acting President of the Commission. Sibolski had been a member of the MSCHE staff for nearly nine years and had served as MSCHE Executive Vice President since January 2007. She would be unanimously appointed President by the Commission on Nov. 19, 2009. It was during this time, that MSCHE found itself needing to establish its independence from the umbrella Middle States Association (MSA). In June 2010, the U.S. Department of Education had issued a letter of findings following an investigation of matters that were self-reported by the Commission concerning its relationship with MSA. In these findings, the Department confirmed that the Commission on Higher Education is the entity recognized by the Secretary of Education and that it must meet the requirements of separate and independent operation included in Federal regulations. On March 1, 2013, MSCHE was separately incorporated under Pennsylvania Commonwealth law as the Mid-Atlantic Region Commission on Higher Education, doing business as the Middle States Commission on Higher Education. Soon after, the Commission began the process of reviewing and updating its accreditation standards in April 2013. Four principles guided the development of these standards: first, the mission-centric standards acknowledge the diversity of institutions; second, the focus of the standards is on the student learning experience; third, the standards emphasize institutional assessment and assessment of student learning; and fourth, the standards support innovation as an essential part of continuous institutional improvement. The result in October 2014, was the Standards for Accreditation and Requirements of Affiliation endorsed by the membership to replace Characteristics of Excellence in Higher Education: Requirements of Affiliation and Standards for Accreditation. What changed? The revised standards reduced the previous 14 standards to seven. While the new standards are fewer in number, certain core principles remained in place. The Commission felt it important that the mission-centric standards acknowledge the diversity of MSCHE institutions. In response to comments from many institutions, higher education experts, and federal officials, the Commission also wanted the revised standards to continue to focus on the student learning experience. Consistent with the previous standards, the revised standards emphasize institutional assessment and assessment of student learning. And, in response to suggestions from institutions and lawmakers alike, the revised standards would support innovation as an essential part of continuous institutional improvement. In addition to approving the Standards, in January 2016, members also endorsed a plan to review and revise the process whereby institutions engaged in self-study and peer review. This plan called for an eight-year accreditation cycle that includes an Annual Institutional Updates (AIU) and a Mid-Point Peer Review (MPPR). To get the most out of the data generated by the new process and cycle, the Commission also made investments in infrastructure, research, and IT. Continuous reflection in the service of institutional improvement has been the hallmark of MSCHE for nearly 100 years. The 2014 Standards coupled with the revised cycle continues to elevate the Commission’s commitment. It also serves to channel energy and resources to those institutions demonstrating the greatest need for guidance and support, and provides a holistic accreditation cycle that has positioned MSCHE well into the next century. Brief History of the Commission, written for the Commission’s 75th anniver- sary by Alice Schell and Dorothy P. Heindel, former assistant directors of the Commission. History of the Middle States Association of Colleges and Schools, from the MSA website. Accreditation in the United States: How Did We Get to Where We Are? by Barbara Brittingham, from New Directions for Higher Education, no. 145, Spring 2009, Wiley Periodicals, Inc.
U.S. Regional Accreditation: An Overview, a statement by the Council of Regional Accrediting Commissions, adopted February 6, 2007. 90th Anniversary 1919-2009, Middle States Commission on Higher Education, Highlights from the Commission’s First 90 Years, 2009.